As an example, the vast majority of shops never give out change in cents/pennies. Therefore if your bill comes to 24.34 the bill is rounded up to 24.40. It is always rounded up not downwards. This irks me because it does not make sense for businesses to price things in cents and I am essentially gifting the business a few cents which add up to a whole lot more over the course of a year. The fact that Dutch shoppers do not find this objectionable is strange. The second aspect that convinced me of the lack of care for money is the health insurance system. Health insurance is mandatory here in Netherlands and there are a multitude of companies to choose from however the basic rate that is charged across the board is 100 euros. The concept of competition does not exist..........how exactly are these insurance companies going to be motivated to give value for money? Furthermore, despite having to pay for private insurance, you are still taxed for health care in your salary. So what is the point of a government taking money for health care and additionally making you take out private health care? Customer Services - What customer services? It is very typical to walk into a shop and find two workers chatting away. These conversations are not work related, they can be about handbags or how the football went or what happened at the weekend. This conversation must be finished before you are served. There is no sense of value for the customer's time and in my view that points to a lack of value for money because you can bet your life I will not be walking into your shop again. I choose internet shopping and opt to give my money to companies outside of Netherlands. The rule is that when you live in a country, you have to view local behaviour and adapt to it. I am learning now that although I get personally annoyed by the lack of value for money, it is not something that the Dutch care about or even think is important. It is not an attitude that I will adopt though, hopefully just get less annoyed over time. Very funny to see my country through your eyes. One tint though, if the bill is 24,34 it should become 24,35. Otherwise it would really be unfair. The healthinsurance is something everybody complains about. The point is we don't know à better system. So we keep this system. We want everybody to have acces to healthcare. So we pay millions to keep it this way. In Eindhoven the majority of shops do not carry 1 cent or 5 cent coins. I have learned to pay by card for everything, even if it is 0.12. I think that Netherlands is getting a raw deal. In UK the NHS gives free health care to everyone. We pay for it via deductions to our salaries and it is about the same as what you pay here for private insurance. I think that the extra deduction to salary is hoodwinking, but Dutch people seem to tolerate that alot (i.e if someone says you must do xyz in order to get this service, people just agree and assume that the figures and calculations are correct). I found your post fascinating. I live in the US and don't understand their method for double taxing. Incredible. This made me chuckle! I truly enjoy learning about other cultures cause as an American we see our way as the best way, it so American of us. I don't really agree on the cents-issue. When the Euro was introduced it quickly turned out the 1 and 2 cents were very inconvenient, for everyone (both shops and customers). So the prices are rounded to 5 cents (so 24.34 becomes 24.35 and not 24.40 :) ). Also, 24.32 should become 24.30 so prices are definitely not always rounded up (and if they are, you should say something about it because it's not the way it works!). I do agree on the customer services part. Although a lot of shops are trying to improve on that part, it might take some time for the employees to adapt to that attitude because they're not used to it. I really hope your annoyance with the dutch gets less! Rianne you have just proved my point. It is only in Netherlands where cents are termed incovenient. There is a general disregard for 1 or 2 cents and since I have been in Eindhoven also 5 cents. I have been to Belgium, France, Germany and Austria and all those countries use the Euro and all those countries do use and issue cents. Before I came to Netherlands I had a Euro coin purse with cents which I quickly learned to use when I realized my change was incorrect. Sadly I have run out so it is my plan to stock up on cents when I go to another European country. To me money is money, whether it is 1 cent or 1000 euros. 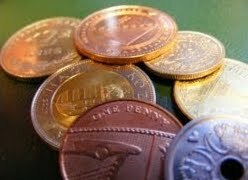 In Netherlands 1 cent is not money. Wow, this is very educative and eye-opening because I have never been to the Netherlands. Thanks Janis and welcome to the blog! I also pay everything by card now until I get some cents! You are the first Dutch person to agree with me on this. I had a discussion with some colleagues and they all thought that a few cents are not worth bickering about. Wow, great article.Moving to a new conutry is a brave and courageous thing to do.I know you will be fine though as you seem open minded and willing to learn. I love your mix of cultures and I agree with you since I was born in Kenya and have lived in UK for a long time so I consider both cultures as my own. Netherlands is another matter lol. Fascinating! In the U.S. health insurance is through your employer, which inevitably leads to problems for adults who are unemployed/self employed. Even though you are paying twice, at least you know you have coverage. However, I wonder can one opt out of the private insurance and just rely on the governmental one? I mean they are already taking money from the salary right? No you cannot opt out, the government rule is that you must take it out unless you are a conscientious objector (i.e member of a religion that forbids you to have health insurance). It is ridiculous. no customer service? I would insult everyone in the store and then walk out. no competition between insurance companies? rounding up my bill? Very wierd! In Turkey the cents thing prevails as well, I got a weary look when I asked for my change from a clerk, though customer service ranges from very courteous to frighteningly claustrophobic. In France customer service is a myth IME. I loved the Netherlands, though I found customer service 'laid back' at times, like they're sighing at the idea you need something, have questions, want to spend money.... Health care sounds like a lot of research to find any difference between plans and though a double tax can have its social perks, The Netherlands is an already expensive country so the double tax can hurt. Glad you're enjoying it! Aha! JC you miss the UK a bit? Speak! However, I'm sure you're not missing the weather. It's really is raining cats and dogs over here at the mo! Loved this entry! I am of Surinamese decent , was born here in the Netherlands and......still do not feel Dutch after 35 years! I call myself a Surinamese woman. You gave all the reasons for why I do this in this entry (can not wait for the next about this country). I have a lot of discussions with friends, family and colleagues. It is like swimming against the stream, tiring. Thank you fo your blog, been a lurker for years, am a scientist myself. wow after 35 years and being born in Netherlands! I do not feel like I could ever feel that Netherlands is my home but I thought that was because I was not born here.........interesting that you have this perspective from someone who has always been here. The double tax to me seems like paying state and federal tax in the US.... but since the Netherlands is a country, they are both the state and the federal in this ituation. I live in Virginia and there is a tax on EVERYTHING!!!! Federal and state on wages, sales tax on all goods, grocery tax along with sales tax, restaurant tax when you eat out, property tax on your house, vehicles, boats etc., and some cities in VA have their own tax (for example City of Manassas). So honestly, I'm accustomed to, not comfortable wit,) the taxes. To me, moving their might be a relief to living some place and being subjected to being taxed atleast five times in one day. But not many people even know this happens. This is the reason why I'm trying to transfer my job to another state ASAP! LOL!!!! !